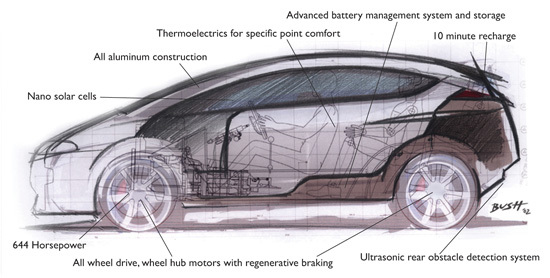 It will be certified to meet all applicable new car test standards and will be installed by trained mechanics in less than 2 hours, without any changes to the underlying electronics, mechanics or materially useable space of the production hybrid other than the installation of the plug in the rear bumper. The applicable market in the US for standard production hybrids will be approaching 1 million through the course of this year. With almost two dozen hybrid models expected by the end of 2008, there will be 5 million standard hybrids on the road by 2010. At an initial 40 mile module installed price of $10,000 supported with a $3,500 tax credit, the payback period for a fleet owner with $3.00/gallon gas is 2.5 years, against an expected life of 10 or more years. The payback period for the average commuter driving 11,000 miles per year would be 5.5 years. These calculations place no value on the net reduction of approximately 100 tons of carbon dioxide and other emissions over the life of the vehicle and take no account of the cost reductions which could accrue from additional materials research and increasing production volumes. Pacific Gas and Electric Company, Californiaâ€™s biggest utility, showcased the first-ever utility demonstration of Vehicle-to-Grid (V2G) technology during an alternative energy solution summit in Silicon Valley.Â Austin Energy, the public utility for Austin, TX is also exploring V2G technology and applications. V2G technology allows for the bi-directional sharing of electricity between Electric Vehicles (EVs) and Plug-in Electric Hybrid Vehicles (PHEVs), and the electric power grid. The technology turns each vehicle into a power storage system, increasing power reliability and the amount of renewable energy available to the grid during peak power usage. PG&E envisions a future in which vehicle owners will be able to set a price threshold at which they are willing to sell energy, and when electricity reaches that point, the utility would then automatically draw energy out of the vehicle’s battery. The energy used by the utility would earn customers credit on their monthly utility bill. Like demand response technologies, V2G has the potential to reduce peak demand on the electrical grid. This is important for a number of reasons. (1) During peak demand, utilities have to buy power at extremely high rates (which are passed onto the ratepayer in one manner of another), and this power often comes from dirty, fossil-fuel powered ‘Peaking Plants.’ (2) The electrical grid is built to handle these periods of peak demand (which are a small percentage of the day) plus some additional capacity as a contingency. If peak demand can be reduced, then infrastructure investments in the grid are likely to be less costly, and consequently, there would be less costs to pass on to ratepayers. (3) V2G scenarios are a great starting point on the path to real-time pricing. At the moment, except for some large commercial and industrial customers, electric rates for most customers are flat. Real-time pricing would encourage customers to use electricity in a more efficient manner (from the grid’s perspective), for example, to run their dishwasher or charge their ipods at night, rather than in the middle of the day when demand is at its highest. Customers who intelligently use electricity would likely see a substantial reduction in electricity costs. Design-Concept or Pre-Production Sneak Peek? 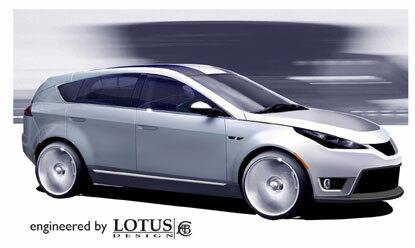 Well ZAP (Zero Air Pollution), known for it’s NEV’s, has released sketches of their “soon-to-be-released” ZAP-X EV sport utility vehicle, which was first introduced to us all as the Lotus APX Demonstrator at NADA 2007. The companies claim this AWD ‘crossover’ vehicle will have some pretty impressive specifications, most notably four in-hub electric motors that deliver a total of 644hp, and a top speed of 155mph. By utilizing a “lightweight aluminum architecture” and an “advanced battery system,” ZAP claims the SUV will have a range of 350 miles, and, that its “rapid charge technology” means the batteries can be recharged in 10 minutes or less. Lithium-ion batteries are to be used in conjunction with ‘supercapacitors,’ which will help to provide quick bursts of acceleration. (The Toyota FT-HS concept also featured ultracapacitors) The ZAP-X should reach 60mph from a standstill in 4.8 seconds. Lotus Engineering first showed itself as a player in the EV scene with the Tesla roadster, but the company has also collaborated with ZAP on the Obvio 012 EV sportscar. As excited as I want to get for this vehicle, it just screams “vaporware.” With technical ‘specs’ that include photovoltaic glass made from “nano solar cells,” an on-board computer running Windows XP, let alone 644hp and a supposed 10 minute recharge (on certain voltages) time, I don’t see this appearing in showrooms anytime soon. 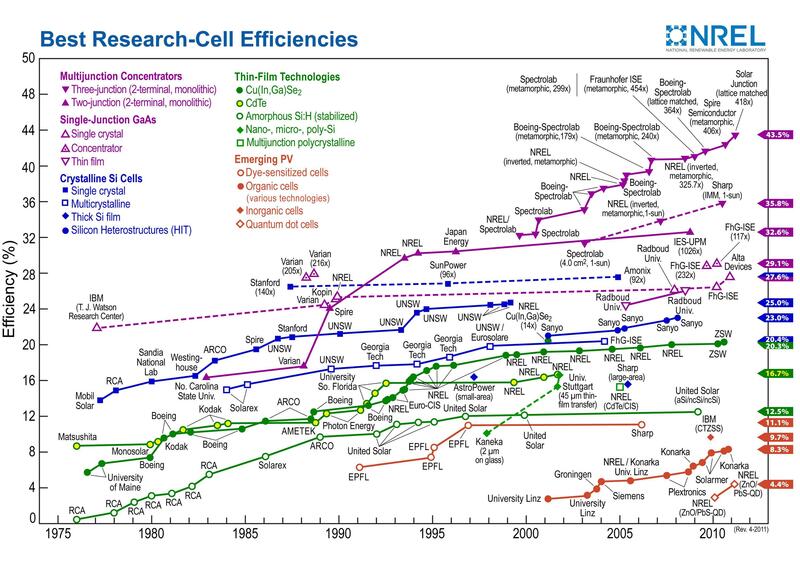 Come on, nano-engineered solar cells aren’t even on the market yet!